Oklahoma Baptists were there for displaced students amidst the teacher walkout that made headlines and history beginning April 2 at the Oklahoma State Capitol. As it became clear that schools across the state would close, questions surfaced as to where meals would come for children who depend on school breakfast or lunches. Another question that arose was what would working parents do for childcare on such short notice? To answer these questions, Oklahoma Baptists “showed up” in a big way across the Sooner State. From the two metro areas to rural districts, numerous churches answered the call for help. In one metro neighborhood, Edmond, Coffee Creek provided a day camp for students whose parents needed emergency childcare. Drew Swadley, Next Generation pastor at Coffee Creek talked about the desperate situation in which some parents found themselves as late as days before Monday school would not be in session. “If the kids couldn’t come here, I don’t know what they would have done aside from taking off of work. But not everyone could do that. So we loved giving them a safe place to hang out, and just spend time with them for the day,” Swadley said. Swadley said students were taught lessons on respect, treating others nicely and other topics that, in general, are applicable to students of all ages. “This has been a great opportunity to reach out to the community on the heels of Easter where we had a few neighborhood events,” Swadley said. Chad Clement, pastor at Oklahoma City, Mission, holds a lunch that students and their families could pick up from the church food pantry during the teacher walkout. Another church that stepped up to the plate to feed children in their neighborhood was Oklahoma City, Mission. Chad Clement, pastor of Mission OKC, said the church received 15 pallets of food from Feed the Children to distribute to those who needed meals while school was not in session. “The amount of food they gave us to distribute is more than 10,000 lunches, and that was specifically for the walkout. They come with tuna as the protein and other non-perishable items that will allow the kids to have a nutritional meal,” Clement said. Mission OKC is no stranger to feeding those with food insecurities throughout the year, with a large focus in the summertime when Mission OKC serves lunches from N.W. 10th St. all the way to Lake Overholser. However, with school on hold, some families with food insecurities began coming in as early as the week before the teacher walkout to ensure that their family would eat while school was not in session. “In this area, the kids depend on the school lunches and breakfasts, and those are their two main meals a day. That’s a scary thing for them to not know where those meals will come from, and I’m sure (it scares) their parents as well. 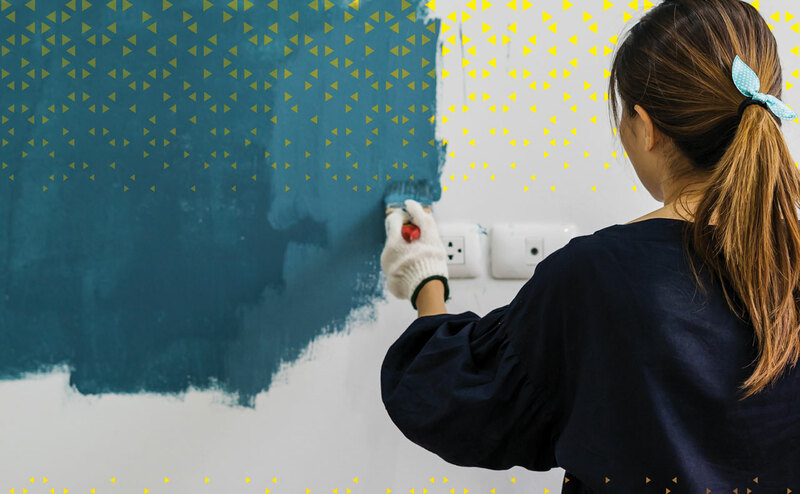 “When you’re working in poverty areas, before we ever crack a Bible or do anything with the kids, the first thing we do is we make sure they are fed because it’s not just being hungry. For them it’s being scared. There’s a feeling of insecurity we probably don’t and can’t relate to, but it is a panic they have,” Clement said. Clement said when it came to mobilizing food for the thousands of children across the state who would need meals during the walkout, it seemed daunting. But with the help of Oklahoma Baptists, as a whole, needs have been met. 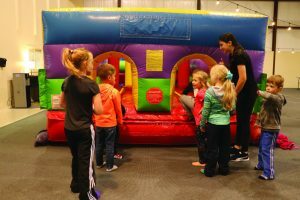 Children at Coffee Creek enjoy indoor inflatables. Edmond, First also hosted a day camp for families who had no other childcare options during the teacher walkout. Paul Blankenship, associate pastor and administrator said he and Blake Gideon, senior pastor at Edmond, First, began discussing how their church could serve the community on the cusp of the teacher walkout. The mission statement of Edmond, First is, “We are a family of faith passionately connecting to Christ, His Church, His Word and His Mission for His Glory.” Blankenship said hosting the day camp for families in need was a perfect way to go into the community and connect people with their church family to be what their mission statement says. At Tulsa, Olivet, and in the surrounding community of Sand Springs, the church came together to provide children and teenagers with a way to spend their time and eat while school was not in session. Pastor of Student Ministry Andrew Wade said the church was put into a position through the teacher walkout that they rarely encounter. 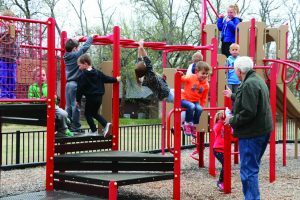 Tulsa, Olivet sits in a location that makes the church easily accessible to both the Tulsa and Sand Springs communities, which resulted in both school systems asking the church for help. A number of ministry and non-profit organizations came together to provide a “Beautiful Day” camp, which was originally intended for April 7. According to Wade, more than 60 percent of students in Sand Springs are on a free or reduced lunch plan, which meant that not only was childcare a major concern for the community, but there was a great need for food for students as well. 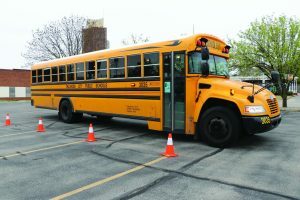 The network of churches across all denominations and many non-profit organizations, working together with the school board, was able to organize a plan in such a way that students need not worry about their next meal. DR fed meals to State Troopers at the Capitol. 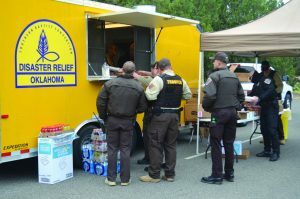 Near the Capitol building, Oklahoma Baptists were there lending a helping hand to law enforcement serving during the rallies. A feeding unit representing Oklahoma Baptist Disaster Relief (DR) served meals to 104 Oklahoma Highway Patrolmen (OHP) who were on site at the state Capitol Building last week providing security during teacher walkout demonstrations. Major Jack McCoy and Capt. Troy German of OHP said they were very appreciative of DR serving the patrolmen, as they were making sure that teachers were safe during the demonstrations. Early reports from Mon., April 2, said approximately 20,000 demonstrators were at the Capitol, and OHP has sole jurisdiction of Capitol grounds. DR was OHP’s primary source for meals during the Capitol demonstrations. 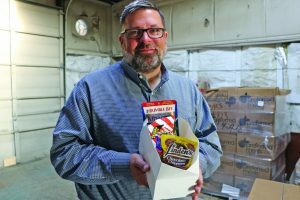 Danny Ringer, director of missions in Great Plains Association, reported his association worked with Elk City, First and Elk City Ministerial Alliance to provide lunches for students. Oklahoma City Public Schools made Oklahoma City, Trinity a place where families could come pick up bagged lunches. The Oklahoman reported other Oklahoma Baptist churches providing childcare or meals including Beggs, First; Bethany, Council Road; Edmond, Henderson Hills; Oklahoma City, Frontline with Oklahoma City, Prospect; and Shawnee, Immanuel. Many of the mentioned day programs and food opportunities will continue throughout the duration of the teacher walkout. In the ever-changing political climate, there is one constant in which Oklahoma Baptists can be sure, the Church remains a beacon of hope in an ever-darkening world.